Government come up the announcement that the OBC creamy layer ceiling has been increased from ₹ 6 Lakh in present to ₹ 8 Lakh per annum. In fact, the proposal, drafted by the Ministry of Social Justice and Empowerment, GoI, had been pending before the Cabinet for more than a year. This proposal is now cleared by the Finance Sub committee on 21st August 2017. 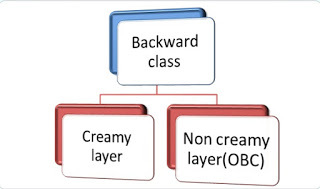 Therefore, those earning beyond ₹ 8 lakh per annum would now fall in the creamy layer classification. This is in keeping with the Supreme Court directive in the Indira Sawhney vs Union of India case of 1990 where it said that the creamy layer of the OBC should not avail reservation facilities. This change of creamy layer increase to ₹ 8 lakh would increase the number of people getting the benefit of reservations in government jobs and educational institutions under the OBC quota. The Union Cabinet has also approved a proposal for setting up of a Commission under article 340 of the Constitution to examine the issue of sub-categorization of the Other Backward Classes (OBCs). To examine the extent of inequitable distribution of benefits of reservation among the castes/ communities included in the broad category of OBCs, with reference to the OBCs included in the Central list. To take up the exercise of identifying the respective castes/communities/ sub-castes/ synonyms in the Central List of OBCs and classifying them into their respective sub-categories. Union Finance Minister Arun Jaitley said 11 states have already implemented the sub-categorisation for state level services. These are Andhra Pradesh, Telangana, Bihar, Jharkhand, Puducherry, Haryana, Karnataka, West Bengal, Maharashtra, Tamil Nadu and Jammu and Kashmir (for Jammu region only). The Commission shall submit its report within 12 weeks from the date of appointment of the Chairperson of the Commission. The Commission shall be known as the Commission to examine the sub-categorization of Other Backward Classes.